The beautiful region of Aquitaine lies to the southwest of France, bordering the Atlantic Ocean to the west, and the Pyrenees Mountains to the south, along the border with Spain. Aquitaine property can be found throughout this diverse and historic region, in each of the constituent departments of Dordogne, Lot et Garonne, Pyrénées-Atlantiques, Landes and Gironde. Aquitaine was once a kingdom in its own right after Charlemagne proclaimed his own son, Louis, King of Aquitaine in 781. Perhaps its most important historic character, the headstrong and determined Eleanor of Aquitaine, saw the kingdom pass first to French rule with her marriage to Louis VII, and then to English rule with the annulment of her first marriage and subsequent wedding to Henry II in 1154, making Eleanor of Aquitaine one of Europe’s most powerful women, and mother to the famous Richard the Lionheart, and equally infamous ‘Bad King John’. Wines from the southwest of France were shipped from the Atlantic ports of Bordeaux and Biarritz, amongst others, to the English court and nobility, leading to vast wealth in the region while under English rule, as it remained until the end of the Hundred Years War in 1453 when it was annexed by France. This 300 year association with England has not been altogether left in the annals of history, with Aquitaine property still being popular with second-home buyers from the UK, especially in the Dordogne. Aquitaine property in the Dordogne can be found in the characteristic rural landscapes of the area, with gently rolling hills and valleys covered with sun-drenched vineyards. The Dordogne is one of the earliest known centres of habitation in Europe, and many prehistoric sites can be found, especially around the area of Lascaux, which boasts stunning caves, which are a UNESCO world heritage site, and Les Eyzies. Dordogne roughly equates to the ancient county of Le Périgord, and is dotted with small villages, ancient castles and manor houses. Aquitaine property in the Dordogne offers a tranquil and rural way of life, and often Aquitaine property for sale here are farmhouses with vineyards or older, character filled chateaux with panoramic rural views. Dordogne is perhaps best known within France for its gastronomic delights, and any Aquitaine property in this department is likely to be in close proximity to delightful restaurants selling the local specialities of truffles, walnuts or foie-gras. 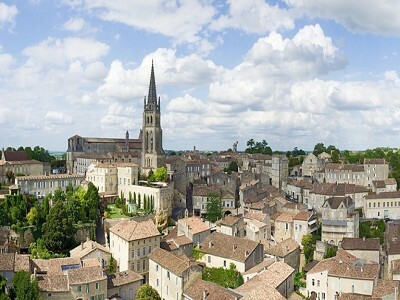 Next to Dordogne, but also bordering the Atlantic Ocean is the department of Gironde with its capital, synonymous with wine-production, Bordeaux. Gironde consists of low lying land along the Gironde estuary, where the mouths of the Garonne and Dordogne rivers merge. Most of this department is devoted to, and famed for, its wine production, including the area of Médoc, perhaps the most prestigious of the wine-producing areas. Almost any Aquitaine property in Gironde is likely to be nestled between several vineyards and any wine lover could spend a (delightful!) eternity touring around the local vineyards and sampling the local wines. Aquitaine property in the city of Bordeaux itself is found in a beautiful city, where the town’s wealth can be seen in the stunning architecture of the buildings, such as the unique 18th century theatre. On the coast, the resort of Arcachon is a popular place for keen yachtsmen to buy Aquitaine property, due to its sheltered anchorage and proximity to the Dune du Pilat, the highest sand dune in Europe. Often Aquitaine property located in this department has breathtaking sea views, and the Côte d'Argent beach is Europe’s longest and attracts many surfers to Lacanau every year. Lot-et-Garonne’s landscapes are remarkably similar to those of Dordogne, with gently rolling hills, vineyards and woodland, yet with riverside Aquitaine property on the banks of the Lot and Garonne rivers that give the department its name. Aquitaine property can be found in this department to suit most tastes, combining picturesque old manor houses set within large estates, rural farmhouses with land and equestrian facilities, riverside Aquitaine property or characterful village houses with countryside views. Aquitaine property in Landes is often found in or near the beautiful forests that cover this department. Les Landes is the most heavily forested area in Europe, with the vast pine forests interspersed with areas of wild heathland and farmland. Aquitaine property in Landes is therefore popular with nature lovers, hikers and lovers of all kinds of outdoor sports. Even today, Landes is one of the most sparsely populated areas of France, with the main industry of the area being timber. The Atlantic coastline is almost a solid and unbroken stretch of sandy beach and a continuation of the Côte d'Argent beach, yet much of it remains wholly unspoilt and undeveloped. 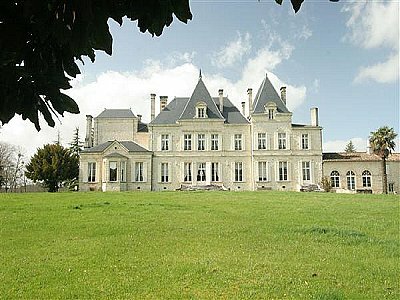 All this means that is possible to find some absolute gems of Aquitaine property in Landes. Almost ¼ of dwellings in the department are second homes, further emphasising the beautiful natural and unspoilt atmosphere of this amazing department. Finally the department of Pyrénées-Atlantiques shares borders with both the Atlantic Ocean and Spain. The department is essentially composed of the former province of Bearn and the Basque country, and has a unique culture with a strong Spanish influence. The Pyrénées-Atlantiques offers perhaps the most diverse choice of Aquitaine property, from coastal views and beaches around St Jean de Luz and Biarritz, to mountain views of the Pyrenees, and skiing on the high slopes. Aquitaine property in this department has perhaps the best climate in France, and even the foothills of the Pyrenees are lush and verdant year-round due to the warm climate and adequate rainfall caused by the high peaks nearby. At higher altitudes this falls as winter snow, providing some of the best skiing in France. The capital, Pau, is known for its elegant Aquitaine property and architecture, and was a popular thermal resort in the 19th century, especially for the British. Lac Gentau, and the area surrounding the lake is also a popular choice in which to buy Aquitaine property. This exceptional and beautifully presented holiday village comes with 15 gites of various sizes (potential for more to be built), bar/restaurants, and aquatic area on almost 30 hectares of land.